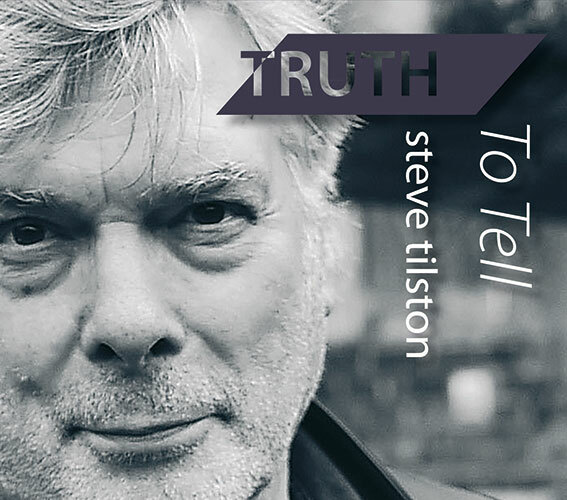 From the start, Steve Tilston has written songs in which the past informs his present. There are very few writers in any medium who know the difference between nostalgia and sentimentality. Steve has always had a proportionate sense of those blue remembered hills, recollected with affection and accuracy, but never through rose-tinted retrospection. He recalls and recaptures people, places and personal experiences with a clarity that keeps them vivid. We all have photographs and memories and here he shares a dozen…some distant, some recent. Not that this is mere autobiography: Steve’s songs have the validity of experience, but depend neither on allusive literalness that almost demands footnotes, nor on a Dylanesque nightingale’s code in need of elucidation. Each and every song stands firm, assured and fully realised in its own right – truths told and at the same time telling. Like the familiar traditional song, included here, they are genuinely timeless – at once then-and-there and here-and-now.